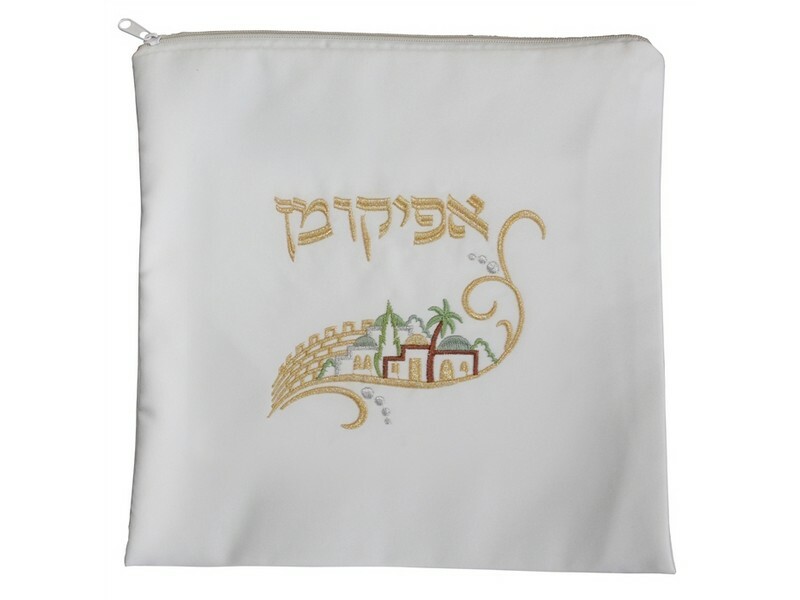 This classic round matzah cover is designed with glossy white material. 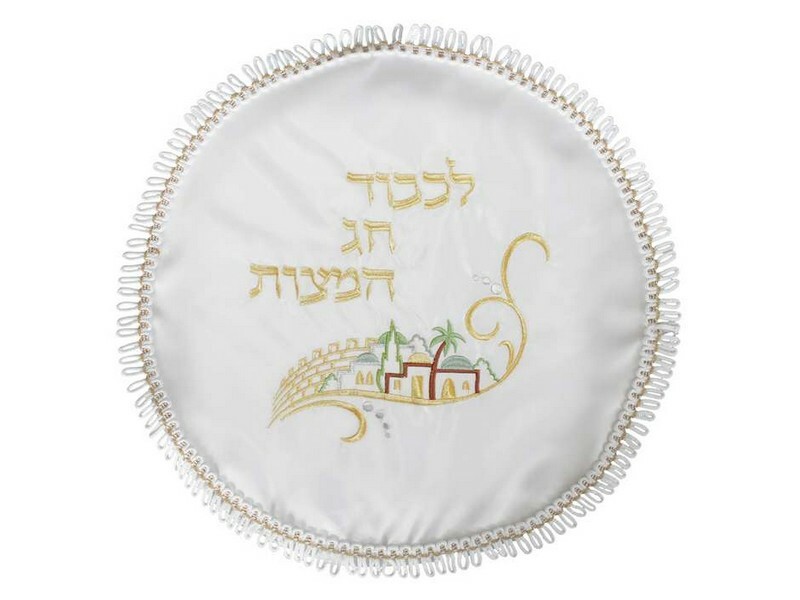 The Hebrew words “Lekavod Chag Hamatzos”, which means “In honor of the holiday of Passover”, are embroidered with gold colored thread. The center of the matzah cover has a colorful embroidered image depicting Holy City of Jerusalem. The edge is finished with a scalloped design.